Energy costs are one of the highest monthly expenses for homeowners, aside from a mortgage. Energy used to power your HVAC system, appliances, furnace and TVs can add up to whopping bills every month. Some of these costs are unavoidable, but there are specific ways that you can make your home more energy efficient to lower your utility bills. These changes will require some upfront investments, but you will reap the savings over the years. First, start with an energy audit. You can hire a contractor or a representative from your local utility company to come to your home and assess ways that you’re losing or wasting energy. 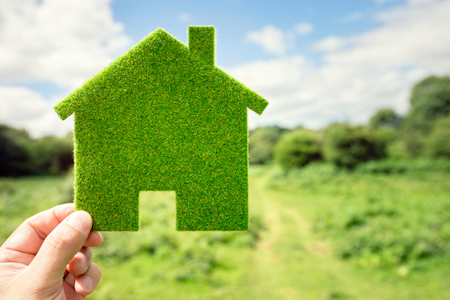 An energy audit can identify problems with the heating and cooling system, insufficient insulation, drafts around windows and doors, and inefficient appliances. An HVAC system can become worn out over time. It may operate less efficiently, causing your home to be excessively warm or cold. Change your furnace’s air filter regularly and have it inspected to see if it’s wasting fuel or not burning as hot as it should. If your furnace is nearing the end of its lifespan, replace it with a more energy-efficient model. A programmable thermostat can help you regulate the temperature in your home. You can program it to lower the temperature when you’re out and when people are sleeping and to keep your home warmer when you’re home on fall and winter days. Not having enough insulation can cause your home to be cold in the winter and can allow air-conditioned air to leak out in the summer. Check the insulation in the walls and attic and add more if necessary. If you have old windows, you could be allowing warm air to leak out in the winter and cold air to get inside. Replace old windows with new, energy-efficient ones. Look for double- or triple-paned windows with argon gas between the panes. This acts as an insulator to prevent drafts and control the temperature in the house. Large appliances, such as refrigerators, stoves, washers and dryers, use a lot of energy. If your appliances are old, they could be causing you to have unreasonably high utility bills. You can replace them with appliances that carry the Energy Star label. That means they’re designed to be energy efficient and cost less to operate. Houses use a lot of energy, and there is no way to avoid utility bills altogether. You can save money by making some changes and upgrades to your home. Some of them will require a significant financial investment, but they will save you money in the long run. Even if you can only make one or two of these changes, you can still make your home more energy efficient and lower your utility bills.